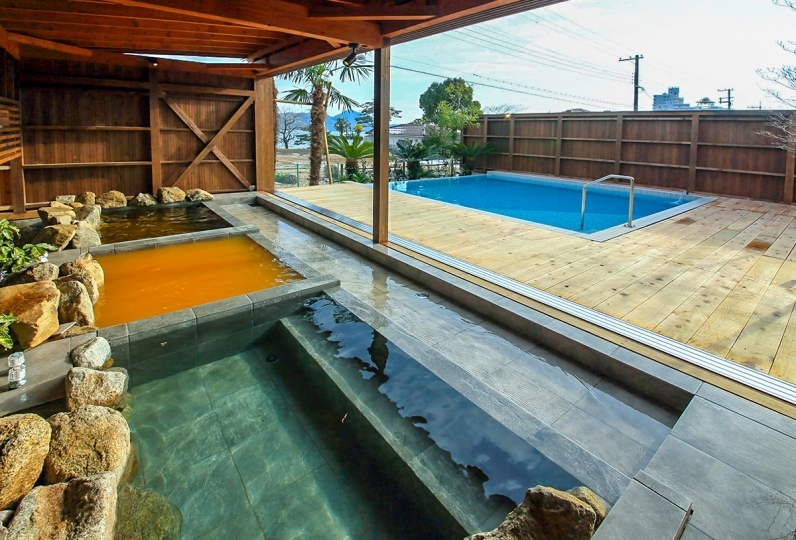 Spend a luxurious time at the resort and in a villa at a prime location from where you can see the Amanohashidate from the wooden deck. Time will fly away as you forget how the time passes at the resort. The private space makes your stay even more luxurious as nobody will bother you. 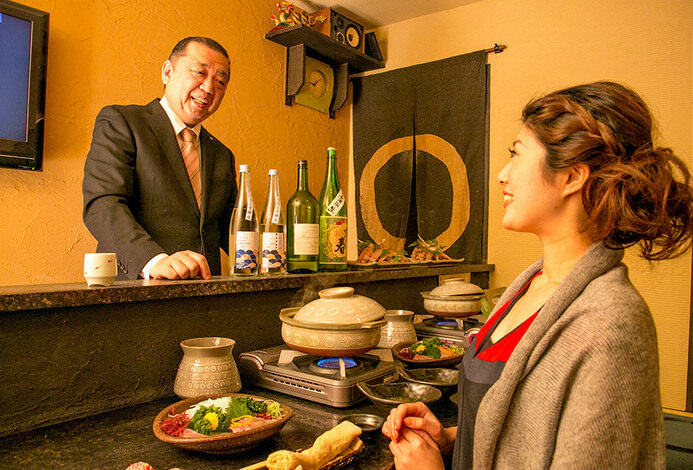 Indulge yourself at the villa by cooking the fresh fish you get at Miyazu harbor. 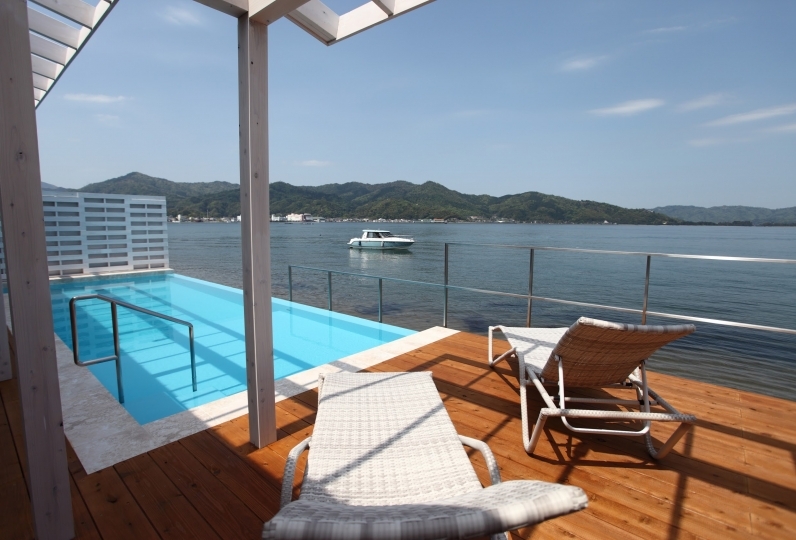 You can cook local seafood at the island kitchen in the villa while soaking in the view of the Amanohashidate. Enjoy the time you spend cooking with perfect kitchenware and appliances. Delight your senses with the mesmerizing Amanohashidate view, rated amongst the top three views in Japan, while you take a leisurely bath. We highly recommend that you enjoy the impressive view of the Amanohashidate after sunset. Experience the infinity pool that unites with the Miyazu Sea at night. Forget about the time and enjoy your stay at the resort. 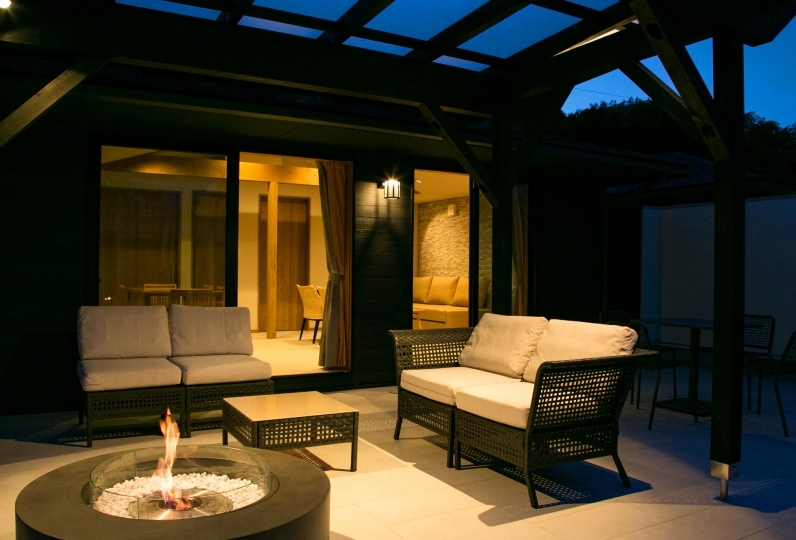 You can have a BBQ on the wooden deck while feeling the fresh winds from the sea. You can also enjoy conversations in the living room where you can feel the warmth of trees. The best place where you can be yourself is waiting for you. A stay at “Villa Pescadores” ensures a comfortable holiday where you can forget the noise of city. Enjoy a luxurious bath as if you were at an actual hot spring! The bath contains artificial components and natural ore from Kuguri Yu. The soft quality of the water is gentle enough so that anyone can bathe. You can enjoy a bath while taking in the unobstructed view through the fully open window. We have a private swimming pool on the terrace so that you can enjoy a swim without having to go to the beach. As a guest you can use the pool anytime during your stay. From children to adults, everyone forgets about the passing of time and enjoys themselves here. For ingredients, you can visit the Super Nishigaki supermarket only 4 minutes away by car. ※Meal plan is not included.